The Pembroke Welsh Corgi is known for being a happy, loving and intelligent breed. However, they can have a stubborn and independent streak. Generally they are easy to train but they do like to think for themselves at times. This breed loves food and it can be used as a great motivator during training, but as they love to eat they can easily become obese if their food is not regulated. Pembroke Welsh Corgis make good watchdogs as they are suspicious of strangers and are quick to bark when their households or themselves feel threatened. Like all dogs the Pembroke Welsh Corgi requires early socialisation to ensure they grow into healthy, happy and well-rounded adults. This breed is double coated with a think undercoat and longer topcoat; because of this they shed continuously with heavy shedding twice a year. They are easy to groom but shedding can cause a problem is brushing isn’t kept up with. It is recommended to brush your Pembroke Welsh Corgi once a day while they are going through their heavy shedding. The Pembroke Welsh Corgi will get on well with children but due to their natural herding instinct they are prone to biting children on the ankles and feet. This is a behaviour that can be trained out at a young age however. Again, as long as they are socialised with other pets in the household they will get along well. For more Dog Breeds 101 click here! I know I’ve been missing for several months but the time has come to make my return, I have missed blogging and sharing my knowledge and connecting with people online, but I did completely lose my inspiration and motivation for the blog and I had got to a point where I wasn’t happy with the posts that were going up! A break was well needed so that I could get my head in the right place to continue delivering content that I am proud of and that people will enjoy. With all that said I’m going to dive into this post! Pyreneans although giant in stature, are gentle dogs particularly around children which has made them a family favourite for many years. However, like many large dogs Pyreneans are slow to mature and only reach full maturity between 3 and 4 years of age, and this must be taking into account when training them. Also, Pyreneans contain a stubborn streak that can provide further challenges during training, but despite this they are extremely loyal and form unbreakable bonds with their families. They respond well to positive reinforcement training but don’t take too kindly to any negative reinforcement, which may lead them to more disobedient behaviour. Furthermore, they enjoy the sound of their own voices and will bark at any noise unless this behaviour is assessed early on in life. Like all dogs the Pyrenean Mountain Dog requires socialisation from a young age to enable them to mature into well-rounded and happy dogs. Also, due to their inquisitive nature Pyreneans are quite the escape artists and so a well fenced yard is required to ensure they don’t leave for their own adventures. They also contain a high prey drive so intense training is needed for off leash walking as they are generally unresponsive to a recall command when they are in that frame of mind. The Pyrenean Mountain Dog loves being in a family environment and thoroughly enjoy being involved in things that go on around them, which includes playing with children. While most Pyreneans take care to be extra gentle around children, their large size and strength can be something of an issue and extra attention is needed around the children. Pyreneans will get on with other pets in the house such as cats if they have been raised with them and if socialised correctly they will also get along with other dogs. Pyreneans require a lot of grooming due to their double coat. Ideally, they need to be brushed everyday to remove dead and loose hair and prevent matting. As they have a double coat they shed a lot of hair, more so in the Spring and then Autumn. It is also important to keep their ears clean to prevent a build up of wax that can cause ear infections. Although the Pyrenean Mountain Dog is a low energy dog they still require a decent amount of exercising. The recommended amount is around 2 hours of exercise a day for these dogs to ensure they have enough physical and mental stimulation. However, as said earlier it is important to not overexercise a Pyrenean early in life while their bones and joints are still developing to avoid issues with their joints later in life. The Vizsla or Hungarian Vizsla as it is sometimes known is a large sized breed in the Gundog group. They reach heights between 53-64cm and can weigh between 18-30kg; with a lifespan of between 9 and 15 years. Vizslas don’t adapt well to apartments and need a large sized house with plenty of garden space for them to explore. They are extremely energetic and need lots of vigorous daily exercise otherwise they can become hyperactive. Vizslas hate the rain and many will simply refuse to go out in it. In these instances, you could potentially use an indoor treadmill to help burn off some of their extra energy. Grooming wise they are very low maintenance, just needed a brush once a week. The breed also is a low shedding breed so you are less likely to find hairs everywhere. Vizslas are a highly intelligent and loyal breed and so make great family pets and they are good around children of all ages. Their intelligence makes them relatively easy to train, however they are a sensitive dog so they can be easily hurt. They can also suffer from selective hearing and stubbornness so consistent training is key. Unfortunately, Vizslas hate being left alone and can suffer from separation anxiety. Vizslas are considered one of the healthiest dog breeds, with a long life expectancy for their size. However like all breeds they are prone to certain conditions. I hope this post helped you decide on whether you have what it takes to adopt a Vizsla into your home. If you need any more advice of information just leave me a comment and I will gladly get back to you. If you’ve got a Vizsla I’d love to see some photos, you can leave them in the comments or send them to me on Facebook, Twitter or Instagram. The process of encouraging or establishing a pattern of behaviour by offering a reward when the behaviour is exhibited. Providing a treat when a dog ‘sits’ when asked. The process by which an animal learns a behaviour to stop an unpleasant experience. A dog learning to walk to ‘heel’ to avoid being choked by their collar. Presenting an aversive or unpleasant consequence after an undesired experience is exhibited. Pulling on a choke lead when a dog is walking too far in front. Sending a dog into their bed or other room after excessive barking, biting or other undesirable behaviour. Removing a reinforcing stimulus after an undesired behaviour is exhibited. Removing a dog’s toy if they are chewing instead of playing. Several studies have compared these different training methods to test their effectiveness. Lalli et al, 1999 found than the compliance of participants was higher when it produced an edible item rather than a neutral response such as a break. Blackwell et al. 2008 sent out a questionnaire survey to dog owners to discover which training methods they used. 16% only used positive reinforcement, 12% used a combination of positive and negative reinforcement. 40% used a combination of all methods and 72% used some form of positive punishment. The mean number of undesirable behaviours was 11.3 per dog and formal training classes didn’t significantly affect the total numbers of undesirable behaviours reported. However, dogs that attended puppy socialisation classes were less likely to exhibit undesirable behaviours suggesting that socialisation at a young age is much more important than training in order to reduce the incidence of undesirable behaviours. Hiby et al. 2004 found that owner’s ratings of dog obedience correlated positively with being trained using rewards. They also found that when dogs were training using punishment, they were more likely to exhibit problematic behaviours; because of this it was suggested that positive training methods are more useful for the pet owning community. Judging from the above studies, it seems that the best training method is positive reinforcement as a way to reduce undesirable behaviours; but perhaps the best way to avoid undesirable behaviours developing is to ensure that puppies are properly socialised from a young age. Everybody loved Beethoven so this instalment of Dog Breeds 101 will explore the breed behind the lovable character! The St Bernard is classed by the Kennel Club as a Working Dog weighing in between 64-120kg and reaching heights of 65-90cm. 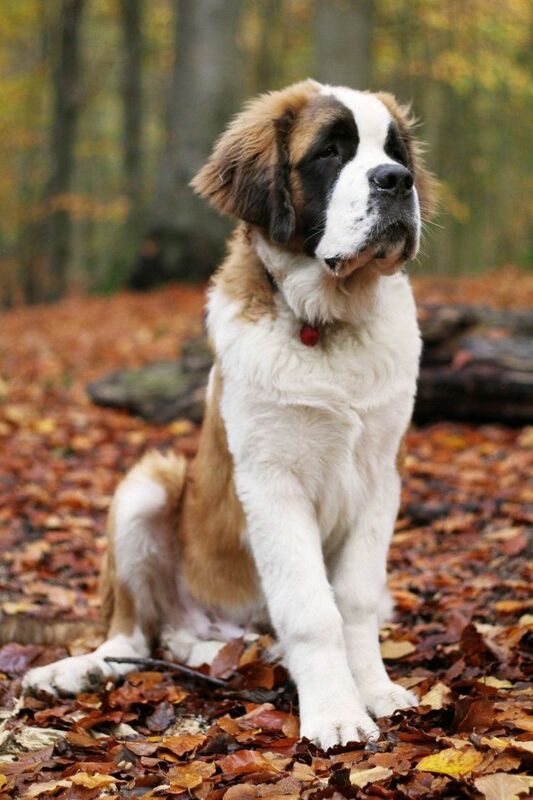 St Bernard’s have an average lifespan of between 8-10 years and they are a relatively healthy breed. Of course, due to their size they do have some issues with hip and elbow dysplasia. The St Bernard is a moderately intelligent breed that is quick to learn. However, because of this intelligence it is also easy for them to pick up bad habits so a confident and consistent trainer is required. Also, correct socialisation is needed when the St Bernard is a puppy or there is a risk of aggression in later life. If the correct training and socialisation is undertaken then the St Bernard is sweet natured and patient and makes the perfect family pet. They form incredibly strong bonds with their owners and unfortunately this means they can develop separation anxiety. However, if handled correctly St Bernard’s can tolerate a reasonable amount of time on their own. 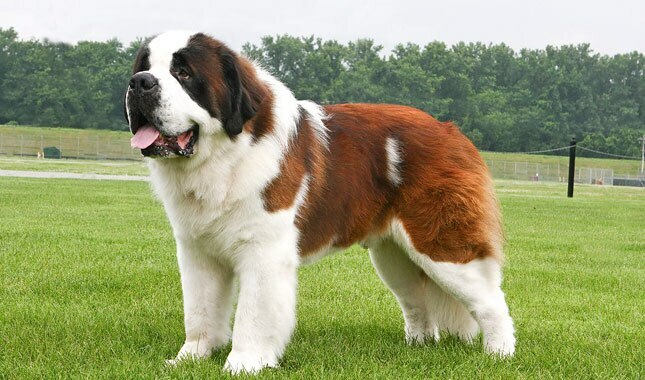 St Bernard’s are immensely strong and require enough room to live. They shed throughout the year and drool a lot. Because of their sheer size and grooming needs St Bernard’s are quite expensive to keep. I hope this post helps in your decision to adopt a St Bernard into your family. If you need any owning or training advice please don’t hesitate to contact me! The Bernese Mountain Dog or ‘Berner’ is a large dog reaching heights of between 1’11” and 2’3″ and weights of between 70 and 115 pounds. The Berner is classified as a Working Dog and have a relatively short lifespan of between 6-8 years. Bernese Mountain Dogs are known for being loyal, affectionate intelligent and eager to please. This makes the Berner fairly easy to train and suitable for a novice owner. They are a great family dog as they do well with children of all ages and they always want to be around their family. However, they aren’t a good choice for a family living in an apartment or in a home that doesn’t have a large, fenced in garden. As with all dogs the Bernese Mountain Dog responds well to early training and socialisation. However, although they are easy to train they don’t respond well to harsh corrections; therefore, positive reinforcement training is recommended. Berners are known for staying puppyish for a relatively long time. Bernese Mountain Dogs unfortunately have a small gene pool which has ultimately resulted in several health problems due to inbreeding. These health problems include: cancer, hip and elbow dysplasia, progressive retinal atrophy, portosystem shunt, Von Willebrand’s disease, panosteitis and gastric torsion (bloat). The risk of an animal developing some of these health problems can be lessened by following some preventative measures. For example, if you avoid over-exercising the dog when they are young and if you don’t allow them to run up and down stairs you can greatly reduce the risk of hip and elbow dysplasia. Also you can reduce the risk of bloat by feeding your dog smaller meals twice a day from an elevated feeder and to also pay particular attention to this as the dog gets older. I hope this post has improved your understanding of what it means to own and raise a Bernese Mountain Dog!